This villa, situated in a quiet, narrow street in the Cevennes has a terrace and barbecue. The large garden has a swing, slide and playhouse for the little guests. 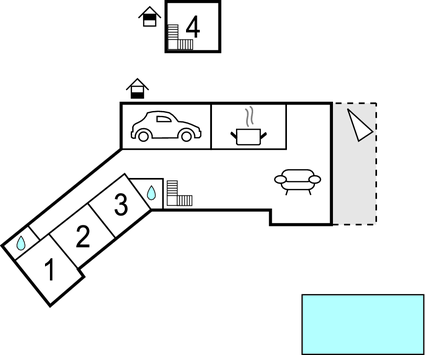 A fourth car fits into the garage. This pretty villa is wonderfully equipped with a terrace and barbecue facilities, in a quiet and narrow street in the Cevennes. It boasts a spacious garden, complete with swing, slide and playhouse for children. You will benefit from on-site parking, including a garage, which can accommodate a fourth car. Nearby, discover the caves of Cocalière and Saint-Ambroix, which are approximately 15 km away. Le Chambon, where you can go swimming, is approximately 17 km, whilst the Pont du Gard is 40 km from the property. The beautifully preserved town of Uzes is also just 45 km away and not to forget Anduze, with its small steam locomotive and bamboo garden, which is a great destination for families with children. Hikers will also be well catered for, with plenty of pretty walks amidst the enchanting landscape. The river Cèze and Bessèges with its restaurants and shops are both 3 km away. This solidly constructed villa was originally built in 1985 and refurbished in 2013. The agent has rated it as a three star property so it is a well-kept villa, equipped with standard furniture. It is also good value for money. 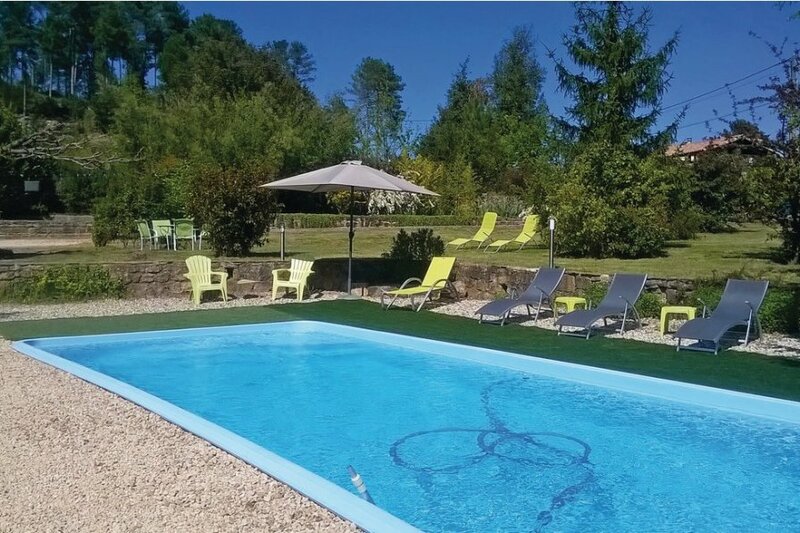 This villa has a private pool and is located in Bordezac, only 3km from Bességes. It is set in a good location: there is a restaurant 3km away.